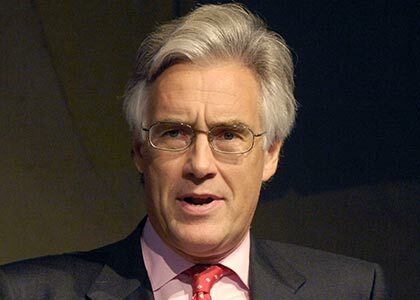 Adair Turner was Chairman of the Financial Services Authority from 2008-13, the regulatory body which oversees the financial services industry in the UK. He was also Chairman of the UK Government’s Climate Change Committee from 2008-12. In 2009 the FSA produced a report recommending a revamp of global banking regulation in response to the credit crunch and collapse of global banking liquidity. Adair lead the FSA as it wrestled with the challenge of rebuilding a tarnished reputation and negotiated changes to the regulatory regime. The former McKinsey director is seen by many in the industry as a positive mix of industry experience and political nous, key to the FSA as the UK reviews its system for sharing financial regulation between the FSA, the Bank of England and the Treasury, and on the international stage. Adair is currently a Senior Fellow for the Institute for New Economic Thinking (INET). Until 2008 he was a non-executive Director at Standard Chartered Bank; from 2000-06 he was Vice-Chairman of Merrill Lynch Europe, and from 1995-99, Director General of the Confederation of British Industry. Prior to that, between 1992-95, he built the McKinsey’s practice in Eastern Europe and Russia as a Director. He is a Visiting Professor at the London School of Economics and at Cass Business School, City University. He became a cross-bench member of the House of Lords in 2005. He was Chairman of the Pensions Commission from 2003-06, and of the Low Pay Commission from 2002-06. He was the Chairman of the Overseas Development Institute 2007-10. His book ‘Just Capital – The Liberal Economy’, was published by Macmillan in 2001. He is a Trustee at The British Museum.